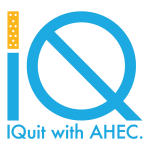 Join some of our other patients by resolving to quit smoking on Thursday for the National Great American Smoke Out 2014. Are you ready for the Great American Smokeout? On Thursday, November 20, 2014, thousands of Floridians across the state will resolve to quit using tobacco. The Great American Smokeout is a wonderful opportunity for you to become involved in the fight against tobacco. Tobacco use remains the leading preventable cause of death and illness in the United States. In Florida alone, approximately $8.64 billion in health care costs are generated each year from tobacco-related illnesses such as heart disease, stroke, cancer, and respiratory illnesses. Research has shown that consistent use of tobacco dependence screening and treatment protocols in the clinical practice can significantly reduce tobacco use rates, improve health outcomes and quality of life, and lower healthcare costs. Call: By dialing toll-free 1-877-U-CAN-NOW (1-877-822-6669), your patients can talk to a trained Quit Coach around the clock. Participants receive over-the-phone counseling, self-help materials, and help crafting a personalized quit plan. Click: At www.quitnow.net/florida, your patients can create a personalized web-based quit plan and receive educational and motivational emails throughout the process. 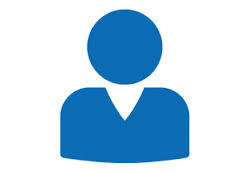 An integrated phone component allows participants to supplement their WebCoach program with Quitline services.